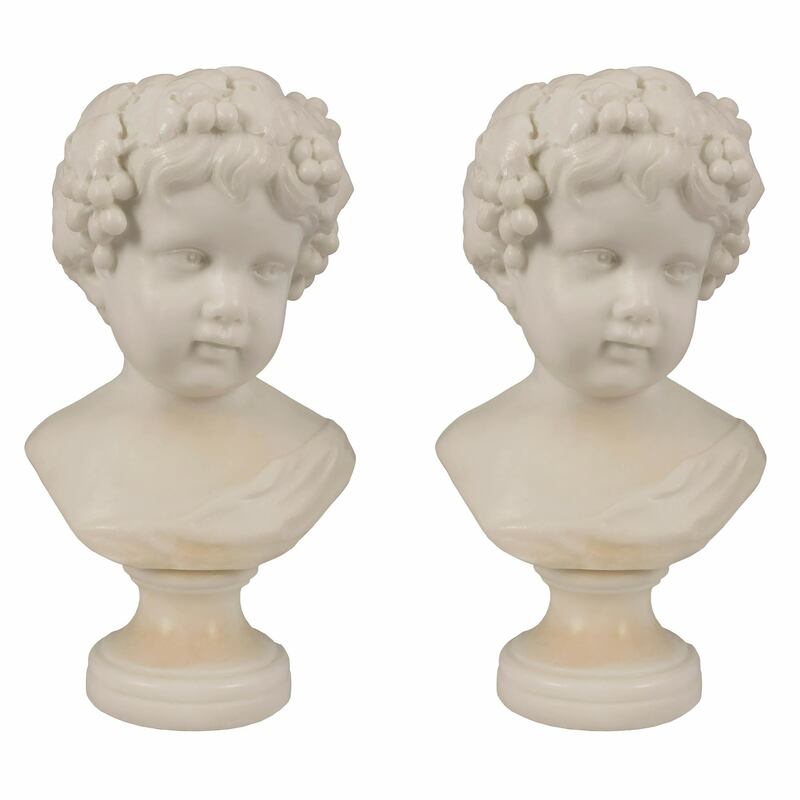 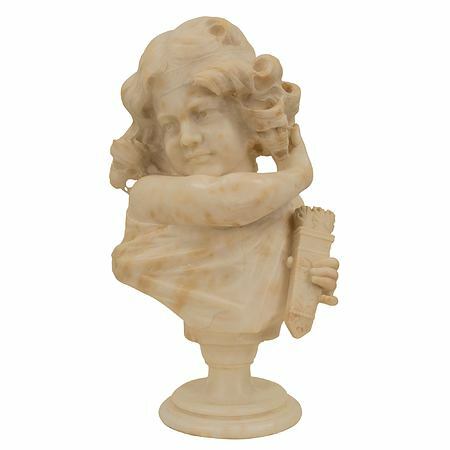 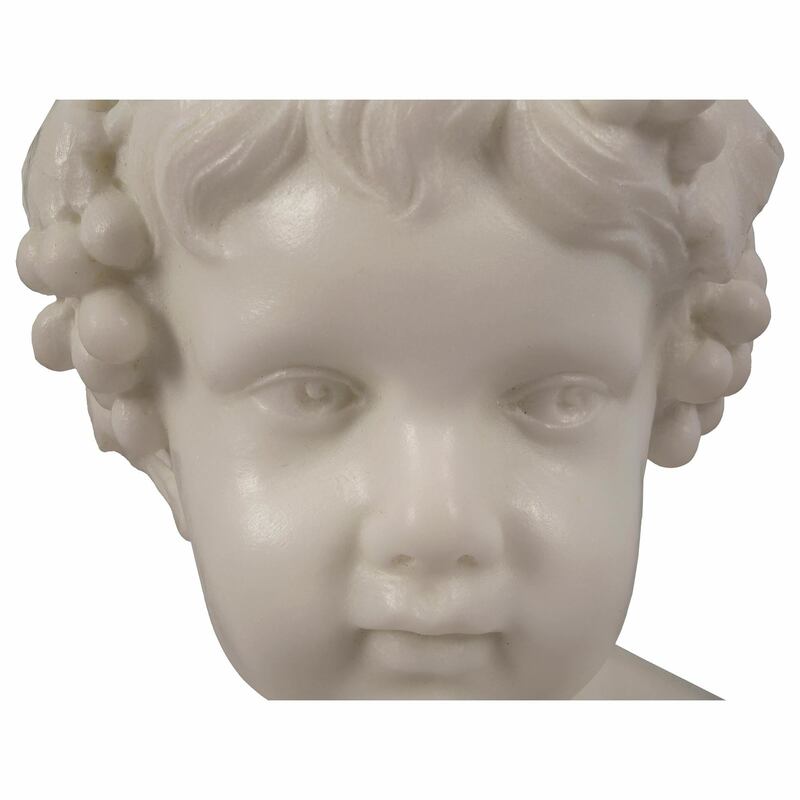 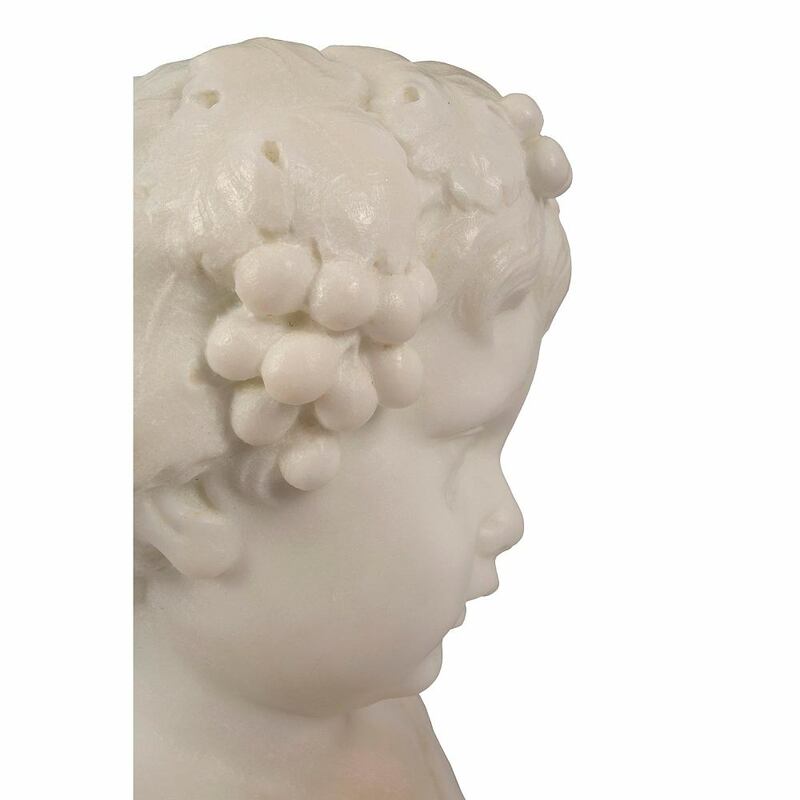 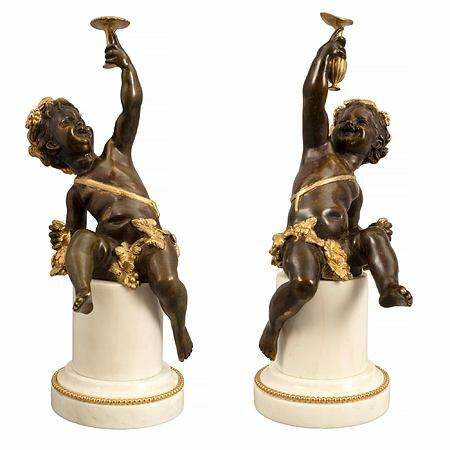 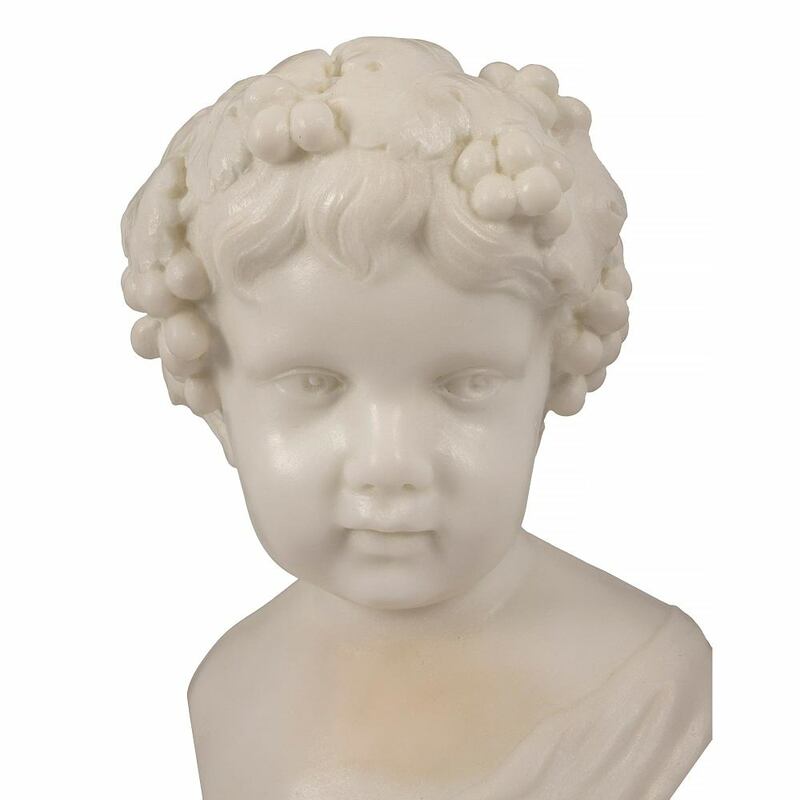 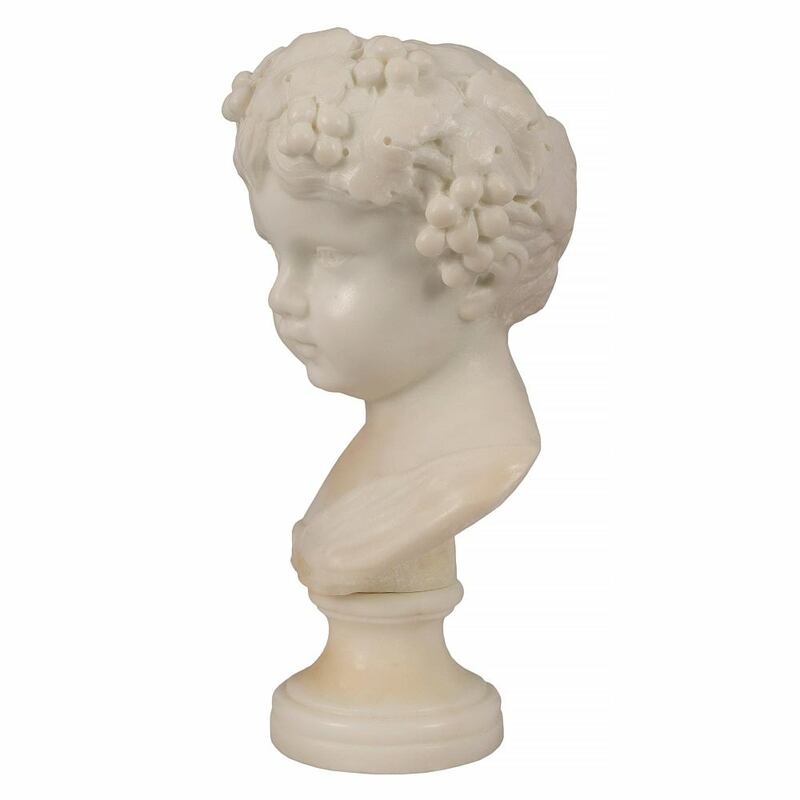 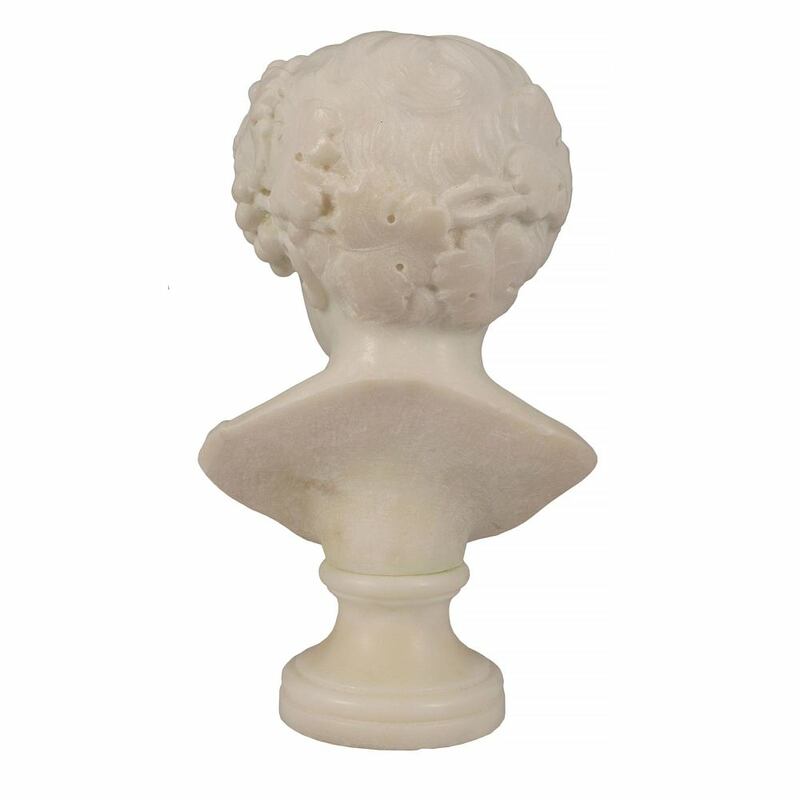 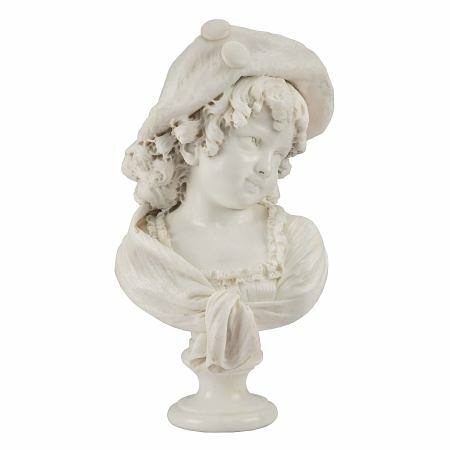 A charming pair of Italian 19th century white Carrara marble bust of young Bacchus. 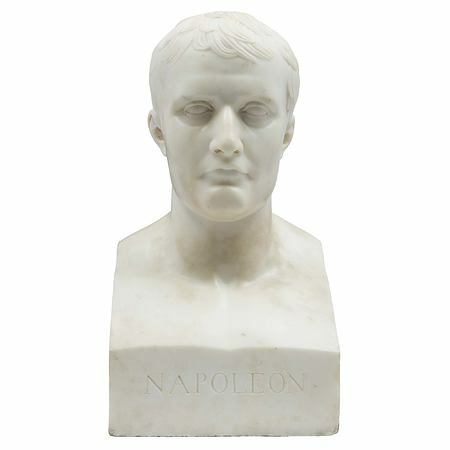 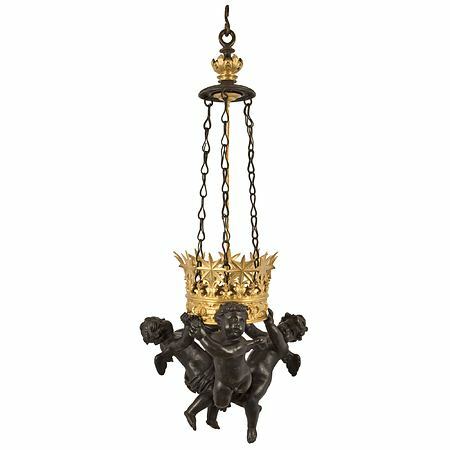 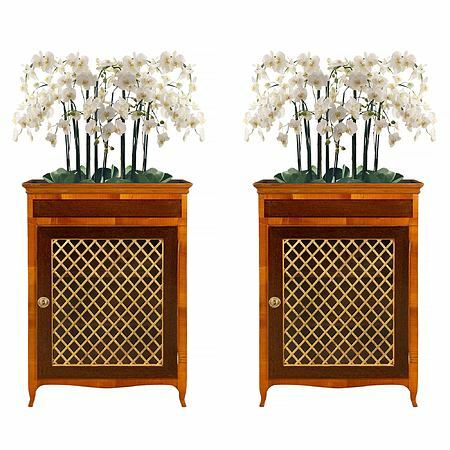 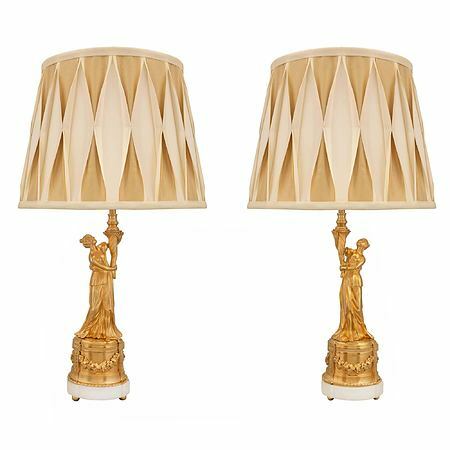 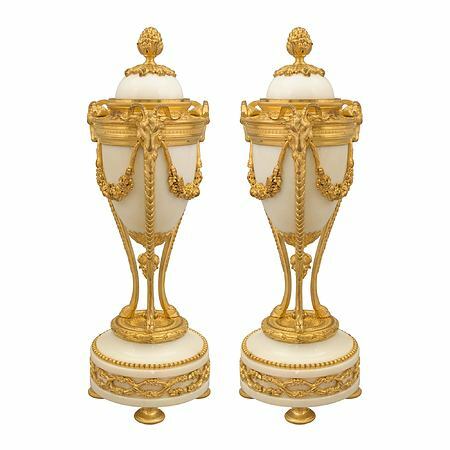 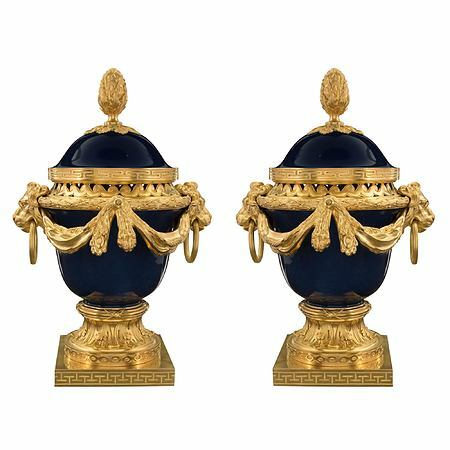 Each bust is raised by circular socle pedestals. 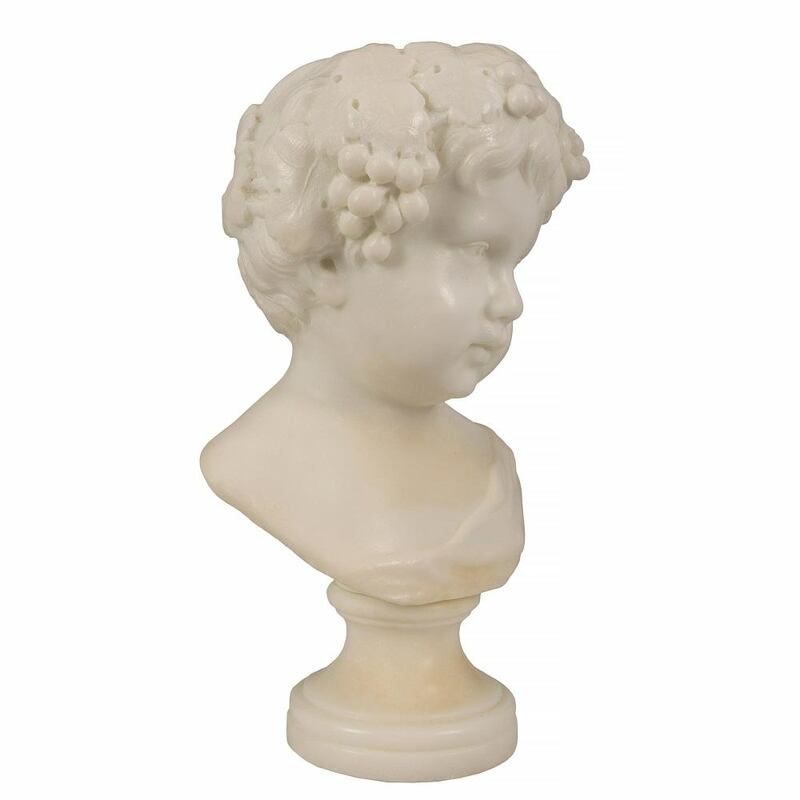 With wonderful smiling expressions and a crown of grape clusters in their hair. 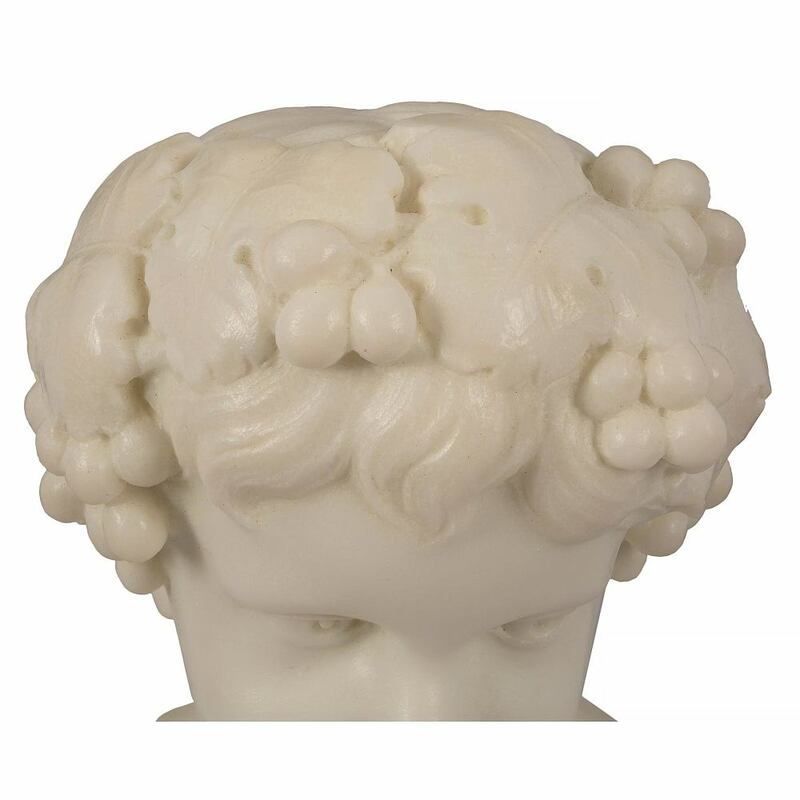 Extremely decorative. 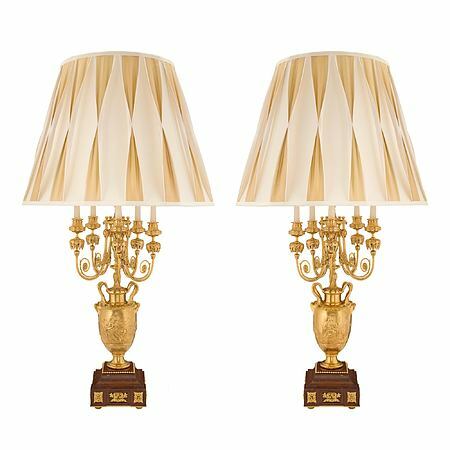 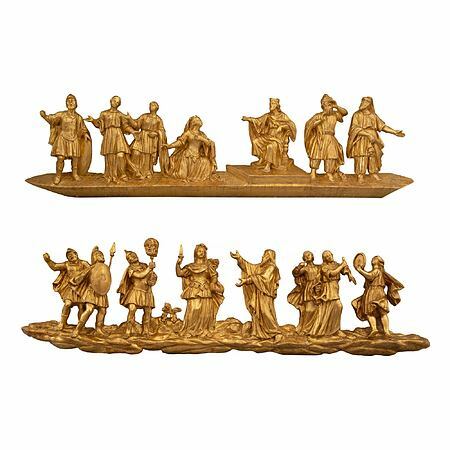 Item # 8717 - H: 21" L: 11" D: 9"
Item # 9615 - H: 20" L: 10" D: 8"
Item # 9019 - H: 19" L: 10" D: 7"